Peggy Whitson retired from NASA on June 15, 2018, after 32 years with the space agency—22 as an astronaut. 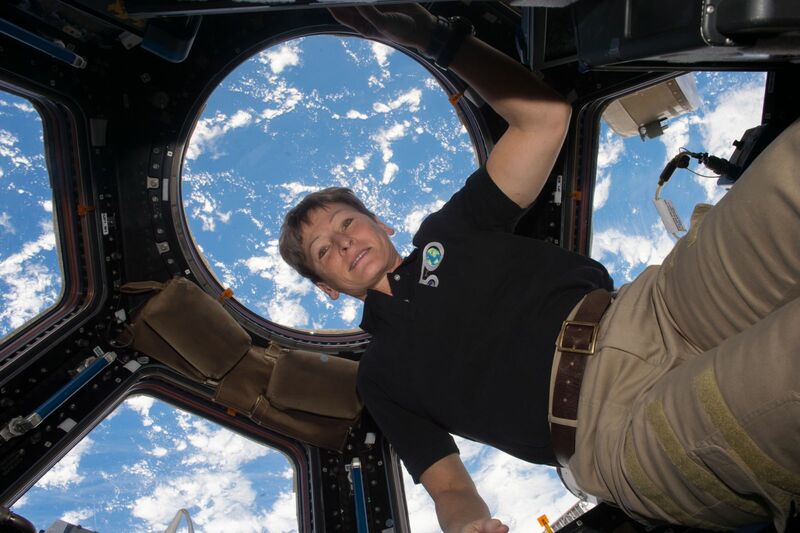 Between 2002 and 2017, she participated in three long-duration International Space Station expeditions, accumulating 665 days orbit—a record for any U.S. space flyer. Whitson, now 58, concluded her most recent mission in September 2017. Her nine-month stay aboard the ISS as part of Expedition 50, 51 and 52 was the longest for any woman and included multiple spacewalks. In fact, according to NASA, she carries the title for the most spacewalks by a woman—10 totaling 60 hours, 21 minutes. Whitson was born in Mount Ayr, Iowa. She earned a bachelor’s degree in biology and chemistry from Iowa Wesleyan College in 1981 and finished a doctorate in biochemistry from Rice university in 1985. She began her career at NASA in 1986 as a National Research Council Resident Research Associate at NASA’s Johnson Space Center in Houston. From 1992 to 1995 she was a project scientist for the Shuttle-Mir program, the first joint U.S.-Russia cooperation since the Apollo-Soyuz Test Project in 1975. In 1996 Whitson was selected to be an astronaut. Her first mission was the space station’s Expedition 5 in 2002. She spent more than 184 days in space and helped install the Mobile Base System, the P1 and S1 truss segments and performed a spacewalk in a Russian Orlan spacesuit. In October 2007, she went to the ISS again as part of Expedition 16. During that 192-day mission, she served as commander—the first female commander of the ISS—and was present for the addition of the Harmony module. Additionally, she performed five spacewalks. Once back on the ground, she served as chief of the astronaut corps from 209 to 2012, according to NASA. She was the first woman to occupy that position and the first non-military astronaut corps chief. Whitson stepped down as the chief astronaut in 2009 to begin training for her third and final flight, which was supposed to be a standard six-month mission. But during her stay, Russia announced it was reducing its crew size from three to two. This meant that NASA could fly an additional U.S. astronaut. In a bid to keep the station at a full six-person crew complement over the summer, NASA extended Whitsons stay by three months. During Expedition 51, she became the first female to command the ISS twice. CONGRATULATIONS PEGGY , YOUR ACCOMPLISHMENTS ARE TRULY OUT OF THIS WORLD ! BEST OF HAPPINESS FOR YOU AND YOURS ! When NASA selected Peggy Whitson and the other 34 American recruits for the 1996 astronaut class, it was specifically with ISS in mind. At that time NASA was hoping to keep the shuttle program going till 2020. 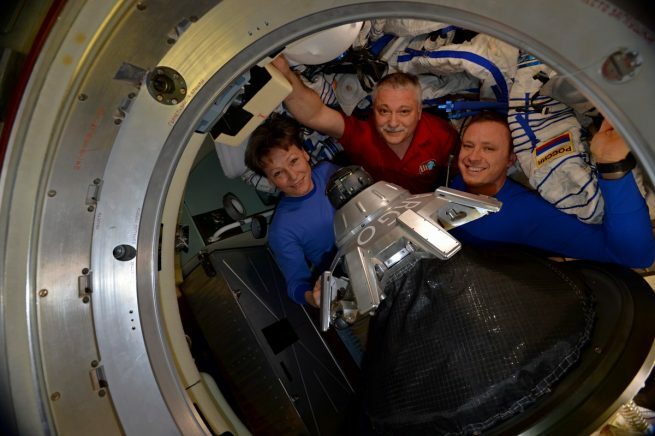 So it’s fair to say, even though the shuttles are now history, Peggy and most of the “Sardines” lived the dream on ISS. I hope she gets the national recognition she deserves in her retirement.